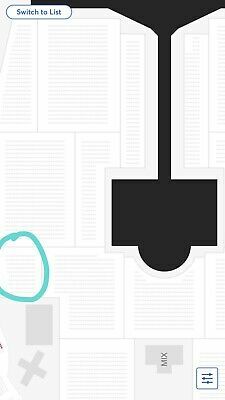 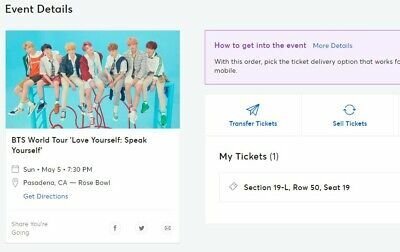 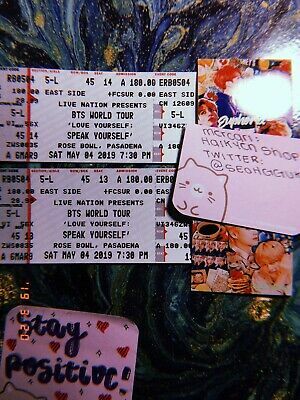 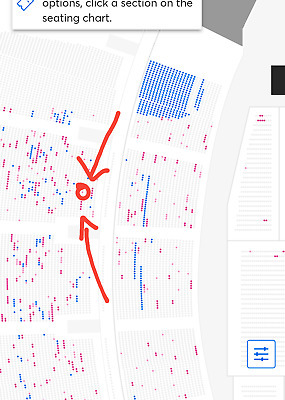 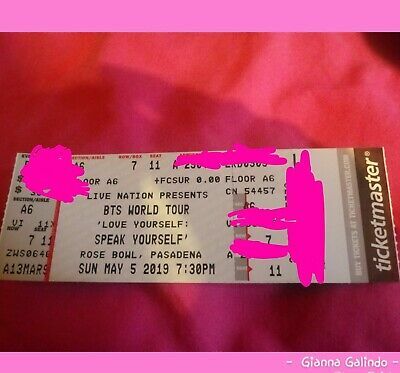 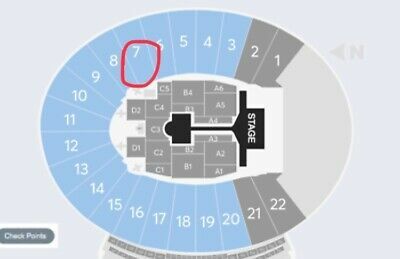 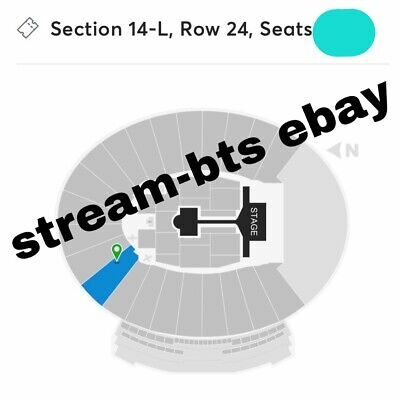 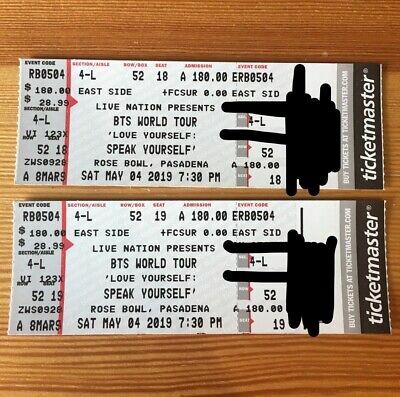 2 BTS tickets, Rose Bowl, Sunday May 5th. 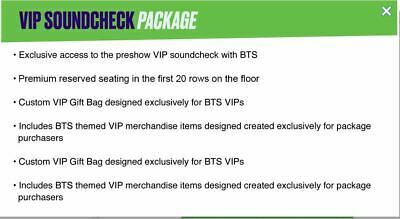 Instant transfer tickets. 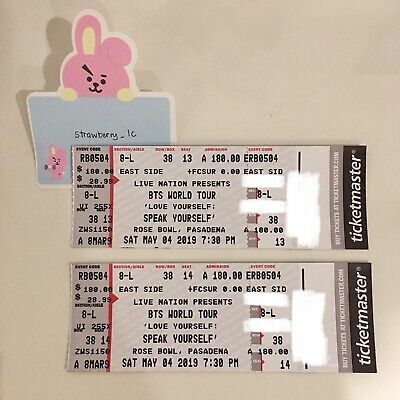 $175 each! 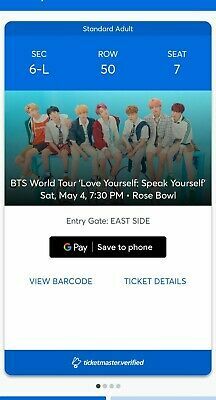 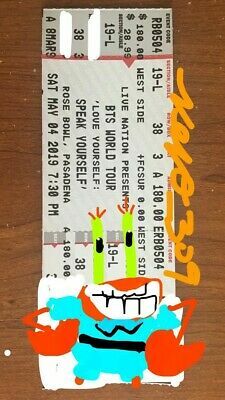 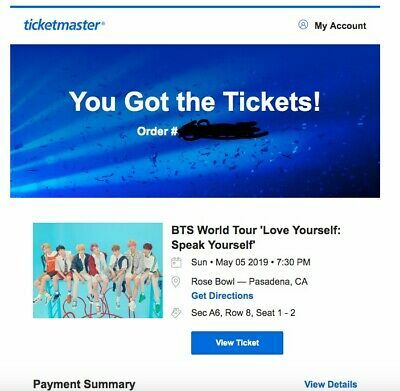 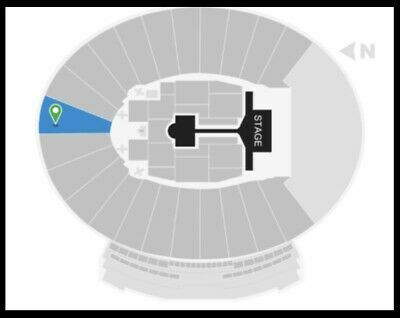 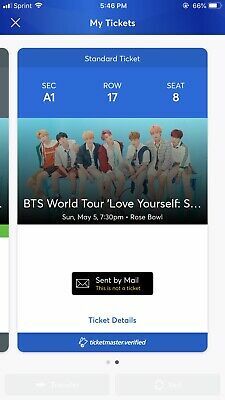 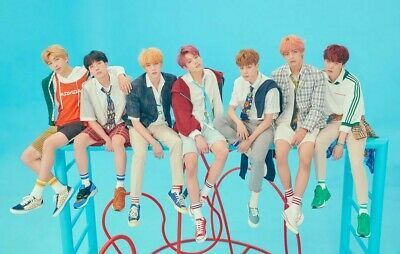 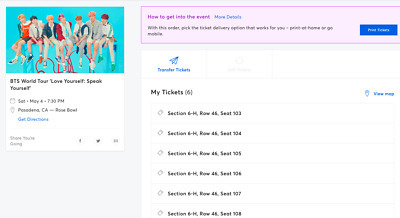 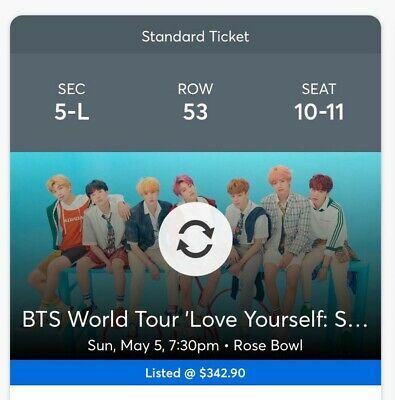 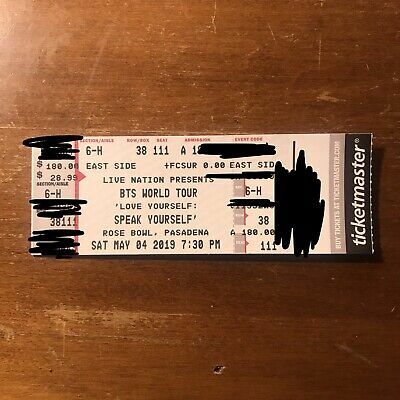 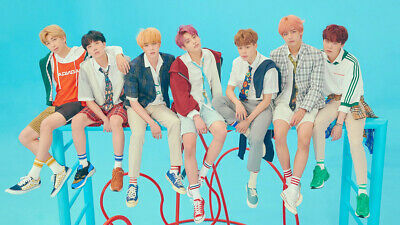 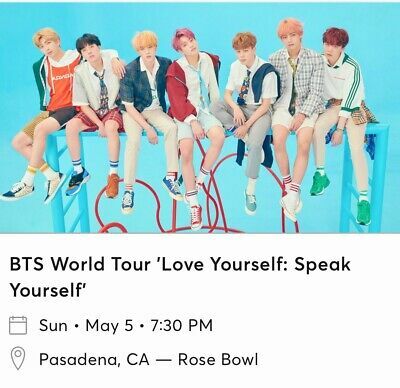 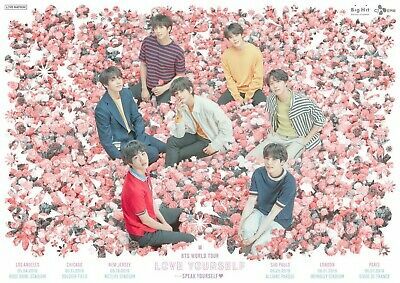 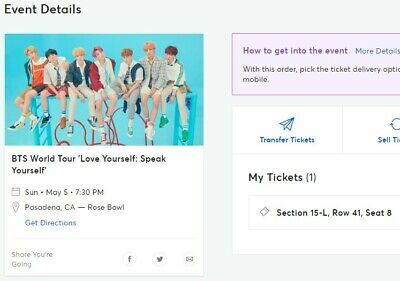 1 BTS Electronic Ticket Rose Bowl Pasadena, CA. 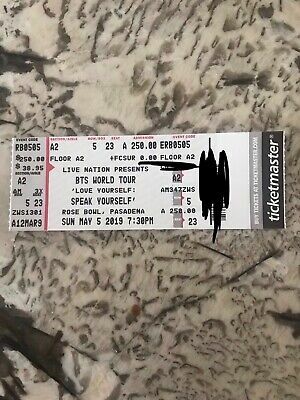 May 5th. 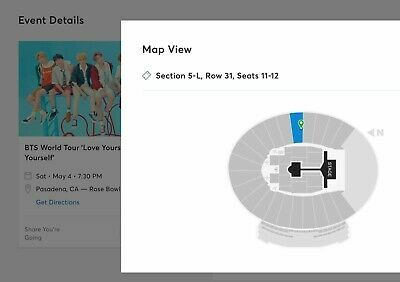 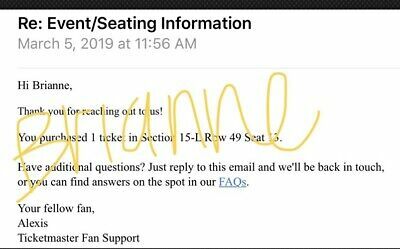 Bts Rose Bowl Floor Ticket!